Efflorescence clogs the drains and causes cracking issues. 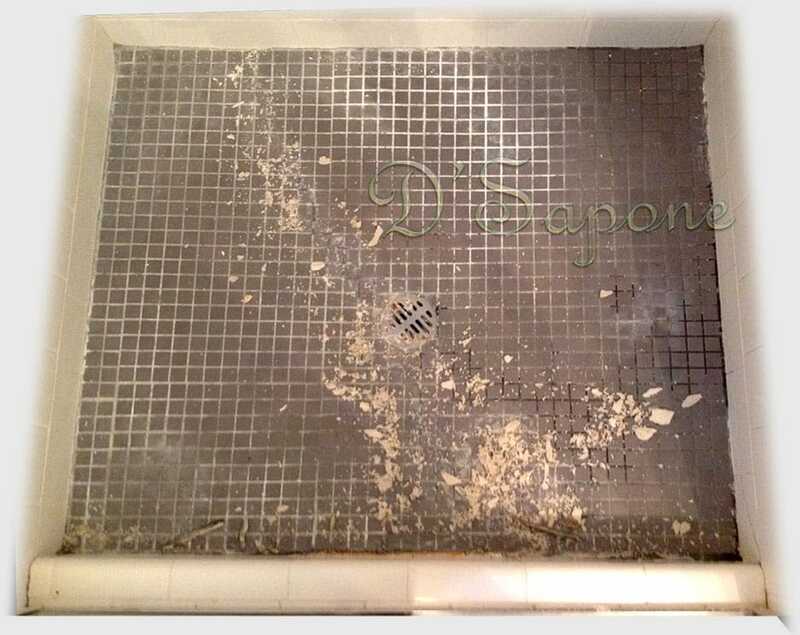 Efflorescence destroys the entire shower. It is caused by the migration of soluble salts, coming from masonry. These slats take place on the surface, where water evaporates and leaves a white residue. Efflorescence closes the drain and cracks the tile and grout. 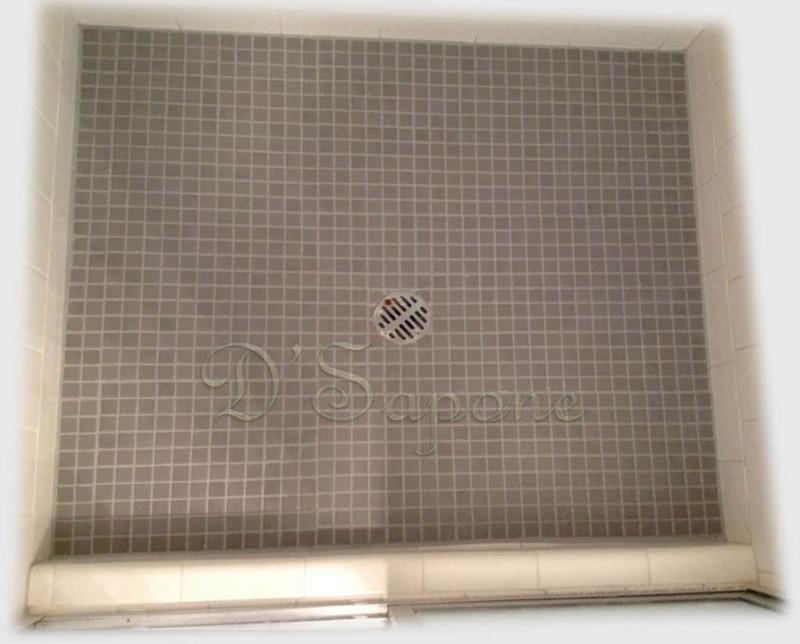 We perform the shower efflorescence removal service in San Diego by eliminating the cover from the shower drain. Then, they scrape efflorescence from the tile and grout. 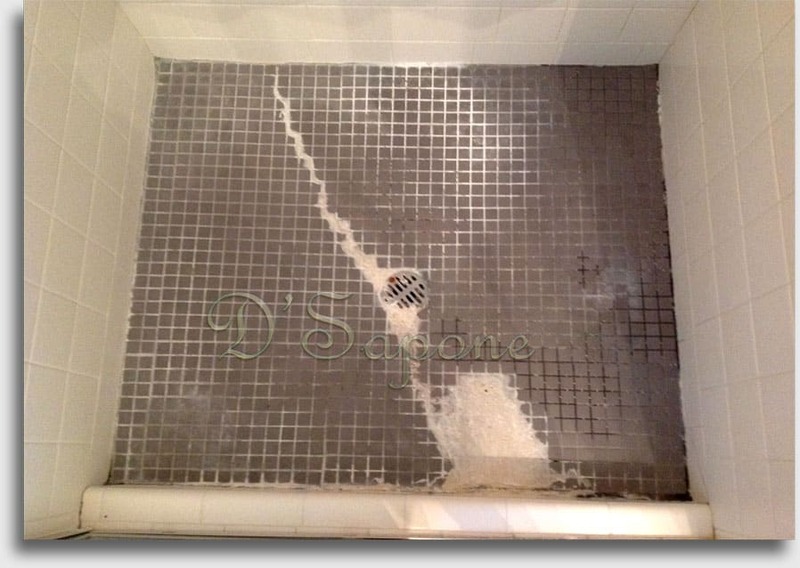 Not only do we clean showers, we remove the efflorescence issues permanently. We have a new way to perform the shower efflorescence removal service in San Diego, with Zido – a powerful chemical from pFOkUS®. It removes efflorescence on the surface and then, goes into the floor attacking the calcium salts. Not only do we eliminate the efflorescence, we also prevent its growth for a lifetime with Sentura – a flexible resin/epoxy sealant, and Caponi® – a two part pigmented titanium resin. Sentura repairs all the cracked and missing grout lines and replaces the caulk, while Caponi® seals the grout. Both of these products waterproof the surface preventing efflorescence. 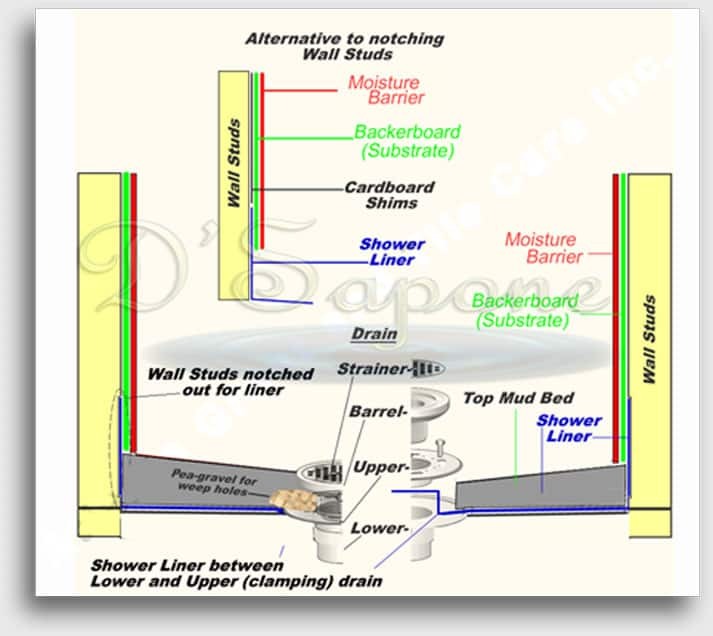 Why efflorescence occurs in showers? 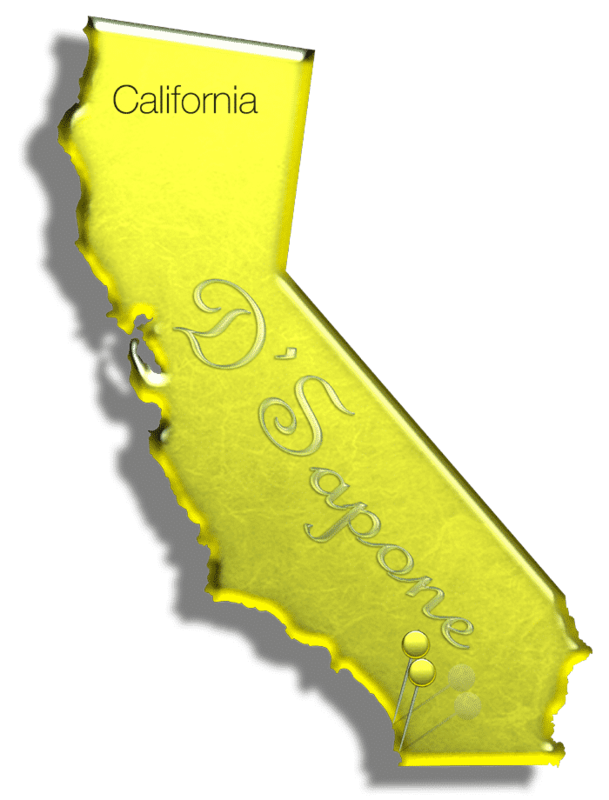 Shower efflorescence removal service in San Diego. Efflorescence is nothing short of a burden in showers. Send us the images and get your free estimate today. One of our artists will make your shower look new with a 5 year labor warranty. Is efflorescence a white substance, taking place in the surface? Good question. Most contractors use the simple and less expensive products from big box stores. We learned over 10 years ago that cheap cleaners and sealers don’t work. We have an exclusive agreement with pFOkUS® and we have the right to use their products to perform the shower efflorescence removal service in San Diego. 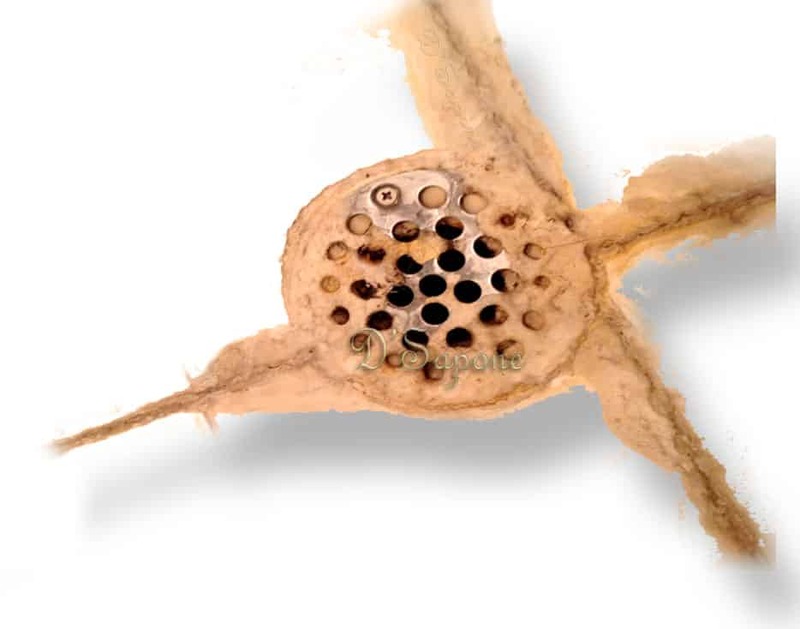 Most homeowners want to unclog their shower drains and overcome the efflorescence issue. 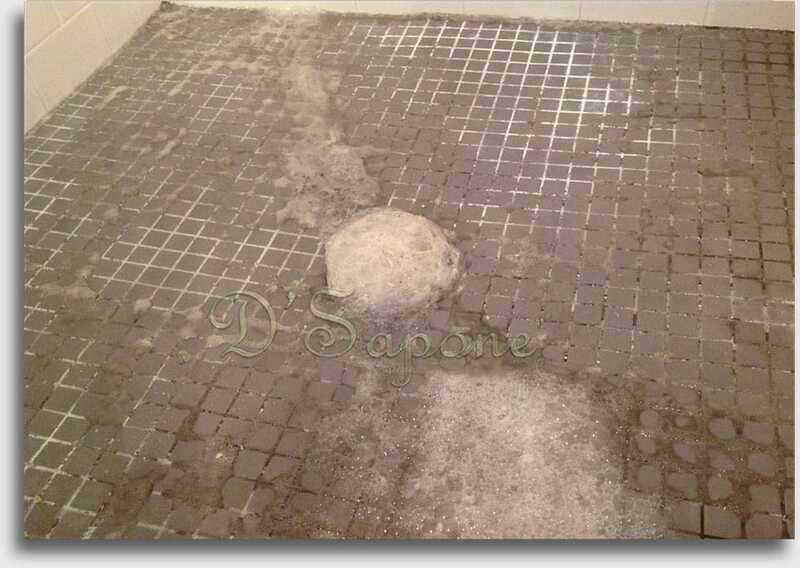 This burden is caused from the efflorescence, taking place via the drain weep holes beneath the tile. We will rectify this issue. 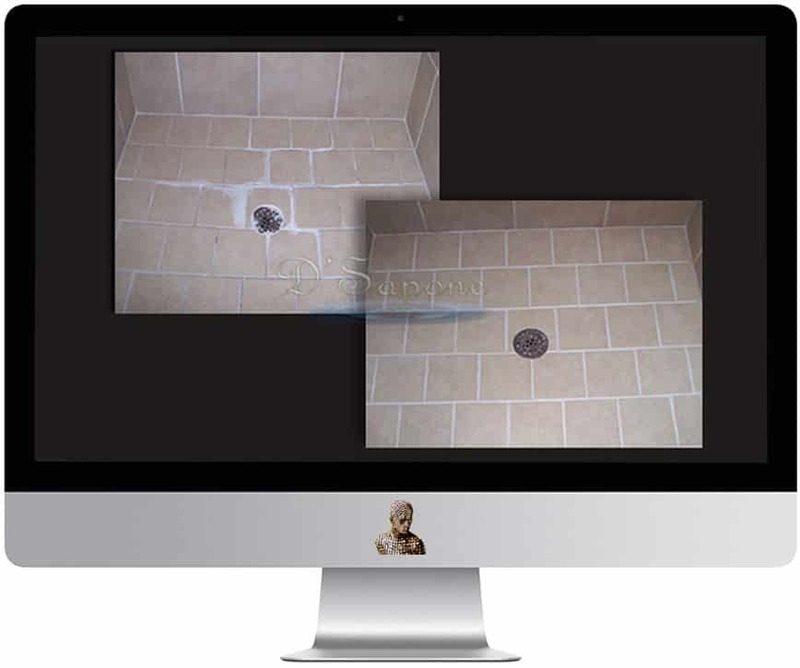 We are the only company to offer the shower efflorescence removal service in San Diego, from the root. We also warranty that the efflorescence will not take place again on your shower floor.